The Condensation Nuclei Counter counts particles in the approximate diameter range from 0.006 μm to 2 μm. The instrument operates by exposing the particles to a saturated environment of butanol vapor at 28º C and then cooling the sample in a condenser at 5º C. The supersaturation of the vapor increases as it is cooled and the vapor condenses on the particles causing them to grow to sizes which are easily detected. The resulting droplets are passed through a laser beam and the scattered light is detected. Individual particles are counted (Wilson et al., 1983) and are referred to as condensation nuclei (CN). 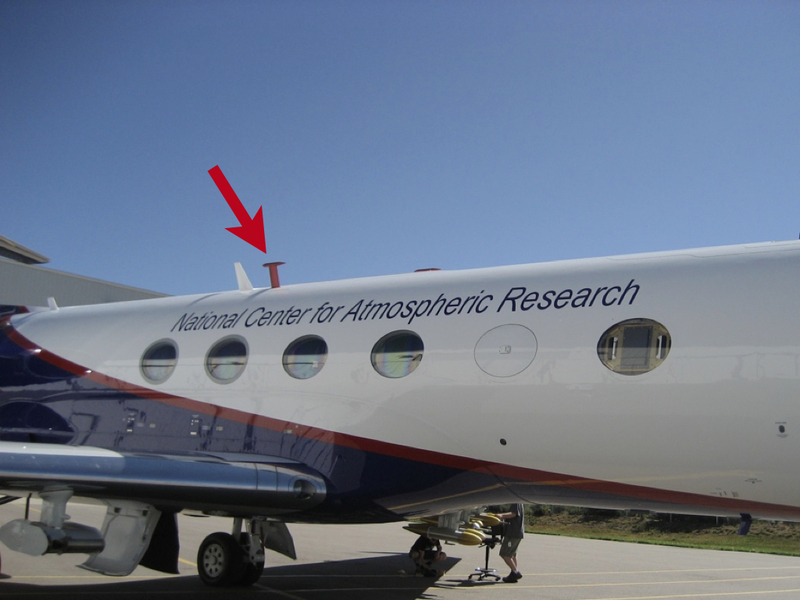 The NCAR Counterflow Virtual Impactor (CVI) (Noone et al., 1988; Twohy et al., 1997) is an airborne instrument that can be used for studies of aerosol/cloud interactions, cloud physics, and climate. At the CVI inlet tip (Figure 1), cloud droplets or ice crystals larger than about 8 µm aerodynamic diameter are separated from the interstitial aerosol and impacted into dry nitrogen gas. This separation is possible via a counterflow stream of nitrogen out the CVI tip, which assures that only larger particles (cloud droplets or ice crystals) are sampled. Because droplets or crystals in a sampling volume of about 200 l/min are impacted into a sample stream of approximately 10 l/min, concentrations within the CVI are significantly enhanced. The water vapor and non-volatile residual nuclei remaining after droplet evaporation are sampled downstream of the inlet with selected instruments. These may include a Lyman-alpha or similar hygrometer, a condensation nucleus counter, an optical particle counter, filters for chemical analyses, or user instruments. 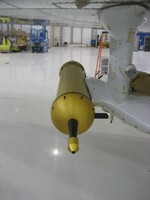 Figure 1: CVI inlet tip. Warm, dry carrier gas (red) is pumped to the tip and radially-in through the porous tube, where it splits into the sample flow (green) and the counterflow (purple). Droplets or ice crystals (blue) approaching the probe tip have sufficient inertia to penetrate the counterflow and enter the sample flow, while unactivated aerosol particles (pink) follow the airflow streamlines around the probe tip. The lead scientist for the CVI is Cindy Twohy. 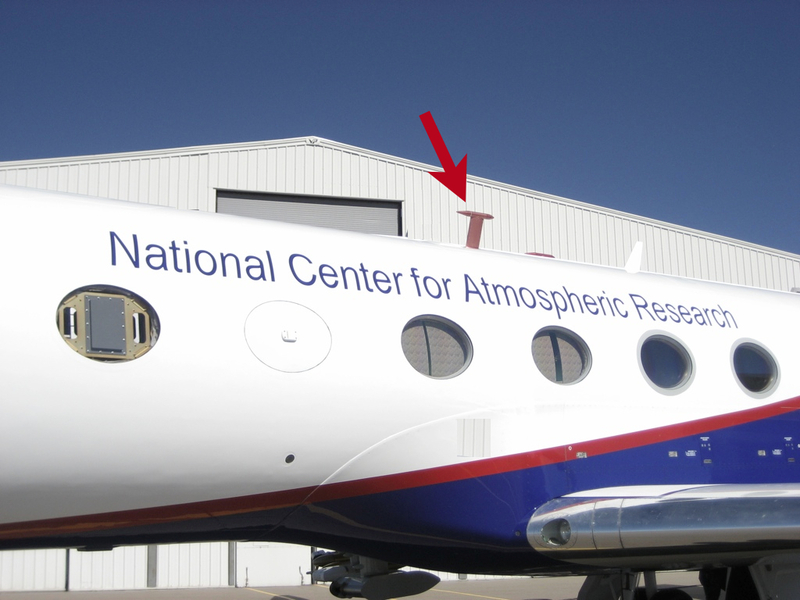 The Fast Ozone Analyzer is used to observe ozone levels in the stratosphere. The Ozone Analyzer is a dual-cell, UV Photometric analyzer for the measurement of ozone in ambient air from 0.05ppb concentrations up to 200ppm. Air samples are collected through the red HIMIL and sent to an on-board instument and computer system that analyzes the sample in real-time. 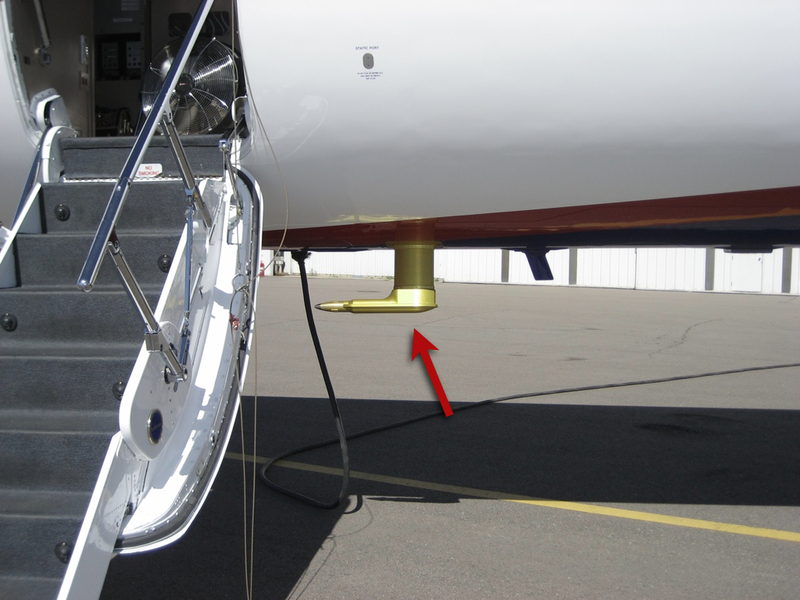 The air sample is then sent to to an exit system via tubes and sent to the aircraft exhaust system and back into the atmosphere. The lead scientist for the Ozone Analyzer is Teresa Campos. Aerosol particle spectra are measured using a PMI UHSAS probe, operating with a 100-bin resolution and covering the approximate size range of 0.05-1 µm diameter. The probe operates with 4 amplifier stages, and it produces nice continuous particle spectra on the ground. Unfortunately, at high altitudes (and cold temperatures) the stages do not overlap smoothly, and the spectra thus look somewhat jagged. The manufacturer states that the particle concentration is correct, thus the probe does not miss any particles or create any artifacts. RAF has processed the spectra based on the counts and bins as per the manual. RAF recommends that users create wider bins, thus producing smoother spectra; the choice of how to define wider bins is left to the individual user.